HMP Bristol was awash with illegal drugs and phones when an inmate who died of an overdose was first transferred there – because a corrupt prison officer had been smuggling them in, an inquest has heard. The scale of the drugs problem at the Horfield prison was laid bare at the inquest into the death of Kevin Crehan – by the very person in charge of security at the jail. Crehan, 35, died in late December 2016, just weeks after being transferred to the Horfield jail. The first day of a two-week inquest into his death heard he died of a drugs overdose thanks to a cocktail of five prescription drugs, particularly methadone and diazepam. An inquest jury heard he had been ‘doing well’ in his efforts to get off drugs during the first months of his sentence, served at Guy’s Marsh Prison in Dorset. The inquest was told he was transferred to Bristol Prison on the last day of November 2016. Giving evidence to his inquest was Joanne Hadden, the head of security at HMP Bristol, and she was cross-examined by Mikhael Puar, representing the Crehan family. He asked her exactly how illegal or illicit drugs found their way into the prison. She described numerous various ways in which drugs enter the cells, and said that at the end of November 2016, just days before Crehan arrived, a prison officer had been discovered smuggling around £20,000 worth of drugs and phones into the prison to sell to inmates. That prison officer was subsequently sent to prison themselves, for two and a half years. It meant that, at around the time Crehan arrived, prisoners had little trouble getting their hands on illegal drugs. Ms Hadden said that this corrupt route had meant an end to the long-standing practice of friends and family throwing illegal drugs over the walls of the prison, a strategy that had returned in the months after that corrupt officer’s supply route was busted. But she said that there had been other suspicious officers or staff at the prison. She spoke of other people whose work brings them into the prison, about whom there had been intelligence or suspicion. “There have been members of staff who don’t work within the prison staff themselves who, while they haven’t been arrested, have left or stopped working there and there’s intelligence that there’s a route that has ended,” she explained. Mr Puar asked if there was a particular problem at Bristol Prison of staff ‘turning a blind eye’ to prisoners accessing or taking drugs. It wasn’t just corrupt staff or civilians who brought drugs in. “Prisoners can be paid thousands of pounds to return very quickly when they are released on licence, so that they can keep the drugs coming in on the inside,” she said. “They will be released on licence but then make sure they do something which will mean they are arrested and returned to prison, but will have drugs hidden on them. “Other routes into the prison are from people throwing them over the wall. In those packages will will be phones and drugs,” she added. Ms Hadden said that visitors to the prison will bring drugs and phones in, and they have increasingly found that drugs like spice will be secreted within paper sent as letters. 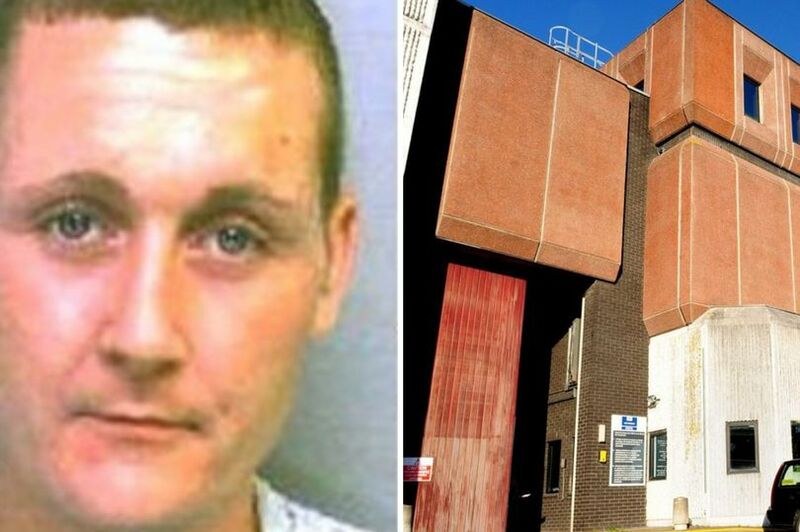 The problem of the tide of drugs entering HMP Horfield has been well-documented before, but has been put into the spotlight with the inquest into the death of Kevin Crehan, which began on Monday. Toxicology tests revealed Crehan had five prescription drugs in his system: Methadone, diazepam, mirtazapin, gavepentin and pregabalin. Only one of those – methadone – he was actually prescribed, and even then, both the toxicologist and the Home Office pathologist told the inquest it was likely, on the balance of probabilities, the amount of methadone in his system indicated he’d taken extra on top of the 60mg a day he had been prescribed.